My writing partner Lisa Godfrees talked me into participating in a blog hop on my writing style. If you read her post, you’ll see I’ve paired this post with a song title, albeit I went outside of the 80s for my inspiration. A few weeks ago, my first story was published. It’s an installment of a science fiction series created by Mike Lynch called No Revolution Is Too Big. It’s about a time-traveling, shape-shifter named Stelfson. Mine is called “Neatly Arranged” and is available on Amazon (shameless plug). It’s the story of Arianne, a corporate lawyer whose parents want her to enter an arranged marriage with a not-so noble earl. I describe it as “Downton Abbey” meets King of Torts with hover cars. I’m editing my first manuscript, Acid. It’s a speculative YA story that examines the idea of the fountain of youth, panacea, and the concept of going to mineral baths to “take the cure”. I’ve made good progress in the first draft of the sequel, Catalyst as well. My tagline is Spec Fiction GEKE- Everything from steam punk Elves to the dystopia of high school. Acid covers the dystopia of high school. As for the steam punk Elves, I’ve written two short stories, and I’m working on a third that are set in a Victorian-Edwardian world of Elves. For NaNoWriMo 2013, I worked on a full-length novel within this time-frame and story world. I describe my brand of speculative fiction as real-world setting with a supernatural twist. In “Neatly Arranged”, it’s set 200 years in the future but the technology is identifiable with those of us in the 21st century, except for the hover cars. My steam punk Elves are pretty much humans with pointed ears although some have enhanced hearing or eyesight. Their world is similar to other steam punk worlds with early 20th century (I write on the Edwardian end of the steam punk era) technology stretched to its limits. Acid is set in the real world. Here’s the deal. I hated, loathed, and despised science fiction and fantasy until a couple of things happened in my 20s. Our church put on a play of this book called The Lion, the Witch, and the Wardrobe. The same title that I’d been running from since fifth grade. Well, I saw the play and was hooked. About the same time a series of books about this boy named Harry Potter were released. A speculative fiction fan was born. My reluctance to embrace the genre influences my writing. I want to write stories to convert others to speculative fiction. My reader is the girl I was from about 15-25 (and still am). The one who knows what she believes but is also a bit cynical. She might read Christian fiction, but her preference is the latest and greatest in YA. She likes stories that stretch who she is but is frustrated by the way Christianity and it values are often mocked. I’m a chemical engineer and my characters tend to be engineers, scientists, or medical professionals. Character is king with me so don’t expect pocket protector wielding Trekkies who captain the Math Counts team. There might be one or two minor characters like that but the main characters are actors, athletes, and artists who set the curve in chemistry or calculus. Because my stories are aimed at someone with faith, I write to deepen faith and paint realistic characters. Struggles they face include ethics, fighting perfectionism, and learning to depend on God not themselves. Rather than avoid denominations, I embrace them with various church types represented. I try to write or edit a little bit each day. I don’t take Sundays off as a day of rest because to me writing isn’t work. Also, I’m more likely to have time. Like today. The weather was windy, and I had an afternoon where one child was at a friend’s and the other played by herself while my husband watched March Madness. I wrote my first manuscript in a crazy frenzy pretty much spending all of my free time writing completely by the seat of my pants. In the strictest sense, I’m a pantser because I don’t write down plots. However, I have it all in my head. Like dumping a jigsaw puzzle on the floor, I have to write out the story then tweak it. Short stories have been beneficial to me because I tend to overwrite. Whether it’s a 1,000 or 8,000-word limit, those boundaries help me hone my stories. So that’s a little about my writing style. And I’m sharing the wealth with two of my writing partners and one of the duo behind my favorite hero-centric site. Linda Samaritoni – I love why she calls her site “My Second Nature” because it reminds us to be more like Christ. If character is king, then Linda is the queen mother. She creates amazing characters and captures the subtleties of her settings. I find myself smiling and saying “spot-on”. TJ Akers – His story Chocolate Eyes was a well-deserved 2013 Genesis Award finalist. One of the founding members of The Scriblerians I squeed when he invited me to the newly formed group. TJ makes me laugh with oh-so-awkward middle school characters who manage to get into humorous situations. Do not read his work with a mouthful of food. You’ve been warned. Joy Doering – She joined Nancy Kimball as the second face behind Fiction Hero Features. This is my go-to spot to find my next hero fix. She has a solo blog at More Than Words where she does more great book reviews. Or in this case, he. Two weeks ago, my son won a first place ribbon at the school science fair and advanced to regionals. I’m not sure who was happier. My son or his parental units. As I was helping my son put together the poster board and write the report, I finally figured out a way to describe what I do for a living. 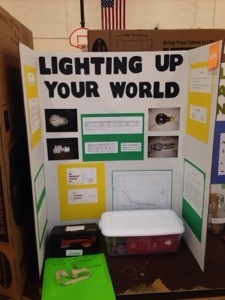 I do science fair projects for various corporate and government clients. We collect data (environmental samples), put the data in tables, graphs and maps, and write reports. Friday was the regional competition and my son didn’t score very high. That too is like my job. There were specific criteria and he didn’t meet it. When you propose work each potential client wants something different. Sometimes you’re a fit, and sometimes you’re not. It doesn’t always mean you did a bad job. Sometimes it’s about meeting a client’s needs, personal preference, and the element of subjectivity in the concrete world of science. It’s also like the subjective world of writing. The scales tip more to subjectivity, but there are rules and guidelines. In contests, I’ve gotten high and low scores for the same entry. Like the MC told the kids at the regional science fair, they all did well but there were winners and losers. Just like in real life. So whether it’s a science fair, a contract, or writing contest, you’ll win some and lose some. But that’s only one event. It doesn’t define you as a winner or a loser. Last week I went on a short-term missions trip. And when I say short-term, I mean four hours. I was there to support a couple of sibling missionaries. They’re young and I’m not sure their faith is at the point where they should even be in the mission field. OK, they’re technically not serving as missionaries but “students” as teaching God is forbidden in this small city-state. It was a difficult decision but education really wasn’t an option in their homeland. The independent city-state where the older of the two started his education was excellent and God was worshiped, not forbidden, but after much prayer, their parents decided to send these young believers to the godless mission field. Their entire community has been putting money into a scholarship of sorts for citizens of this godless city-state. The parents didn’t need to raise support so it made sense for them to go to there as students. Let me tell you about serving in this mission field albeit my experience is limited and (dare I admit it, my heart wasn’t exactly thinking mission trip when I went). The best time to do short-term trips to this city-state is during their holidays. My first visit was during a holiday where the residents dress in elaborate costumes and enjoy sweet treats. It’s a holiday that is somewhat controversial in Christendom but in the proper perspective, enjoyed by others. My first glimpse into their world was watching a parade of them, most in costumes. Throughout the day, the citizens smiled and laughed and ate way too much candy. It ended with a carnival. I moderated one of their games. Oh the delight on their faces when he or she won a big prize. To some, the small stuffed toy was the highlight of their day, their week, maybe a highlight of their year. My second visit, they celebrated another holiday. It’s much like the one we celebrate in Christendom. In fact, the origin is based around the birth of our Savior, but that’s a small facet. Most involves this fat guy, harnessed wild game, and a miniature version of elves that look nothing like the steam punk ones of my stories. Except for the pointed ears. The citizens sang songs, some of which shocked me because they mentioned the Savior. Most were about the fat guy. And one was about the furlough all residents would go on. See, the citizens don’t live in the city-state but are either employees or students. The city-state actually shuts down during various parts of the year. Now my last trip was to work a different kind of fair. One to sell books. This trip wasn’t as happy as the first two. I wasn’t there to give out toys or enjoy their culture. I was there to take money from those who could afford books, pens, and erasers and turn away those who couldn’t. Some were students whose family had the money but chose not to give extra to their child, remember the citizens are mostly minors. Others were turned away because there was no extra money. They are sent to the city-state because it’s the only place they have to go. Some of these minors come from lands where the only meals they get are when they’re in the city-state. The only time they’re warm enough, full enough, given any attention. There’s no money for books or erasers when they don’t get the eleven meals their homeland is supposed to provide. For all of its shortcomings, this godless realm is in reality a much better place than their homeland. Yes, in theory, the homeland has the means to provide the basics. But we know how governments, no matter how big or small, waste money and mistreat its residents. In fact, this city-state is only one of many under the umbrella of a larger government. Many of these city-states are well-run (this one is) but a lot of them are wastelands that frustrate the millions who pour money into them. They make those of us who are forced to pay for them want to do everything in our power to pull money away from them. Keep out the missionaries. Pray they go away or some sort of coup will fix what’s broken. I sit here today thinking yes, but a coup will never happen. I had a similar thought 25 or so years ago about the land behind the Iron Curtain. I was happily wrong. So maybe if the big government gets its act together, these city-states will be reformed. Maybe even have their religious freedom restored. But even if not, I must do what I can. Pray for those missionaries, I mean students and those government leaders (there are some although they’re mostly forced into hiding) who believe as I do, and serve on mission trips when time allows. See, when I was younger my circumstances were similar to these two missionaries. I served as a student in a series of these city-states for 17 years. Unfortunately although I was a believer most of my student years, I never really thought of myself as a missionary until my last few years and even then not wholeheartedly. Like these two, I was fortunate to be assigned to a series of excellent city-states. In fact, the leader of the first city-state I attended as a student (he’s now retired) is a devout believer who attends church with my family back in my hometown. Yes, another song about domestic violence and another post about fiction that deals with this sad but real problem. A few months back I mentioned Rajdeep Paulus’s Swimming Through Clouds in my post Luka. If you haven’t snapped up this book, you are missing a fantastic story. 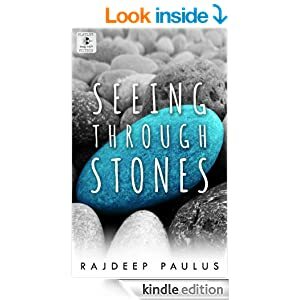 And Rajdeep’s sequel Seeing Through Stones is even better. I almost deducted a star from my 5-star review of Swimming Through Clouds because there were dangling threads. But my reader-sense tingled and I knew there had to be a sequel. Glad I have that super-power, because both Swimming and Seeing are 5-star reads. Without giving away anything for those who haven’t read Swimming Through Clouds, Seeing Through Stones picks up where the story left off. Well, not exactly. Chapter 1 adds a new POV character, Talia’s brother, Jesse. So minimal background. Talia and Jesse are the children of Gerald Vanderbilt. For those of my generation who saw Mommy Dearest and cringe at “no more wire coat hangers”, this generation will say “no more hot tea”. Talia and Jesse’s father make Joan Crawford look like supermom. In Swimming, Talia gains an ally through a sticky note friendship with classmate Lagan. Life looks promising for Talia but what about her brother Jesse? In Seeing Through Stones, Rajdeep binds those loose ends with the skill of a master seamstress. While I’m sad this is only a two-book story, the ending is so satisfying that any more would be too many beads on the perfect dress. I’ll ask it again, do you prefer escapist stories or those that cover gritty topics or a little of both?